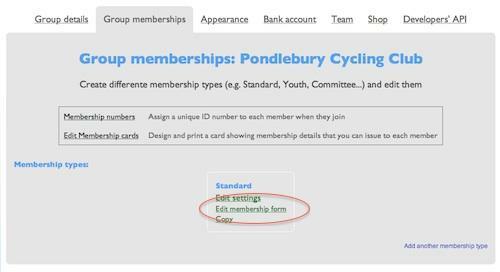 The 'admin controls' are circled in red - you'll only see these when you're logged in as an admin - you use them to view members, send emails, add membership types and so on. This takes to our membership form builder, which should let you design any kind of membership form you need to. 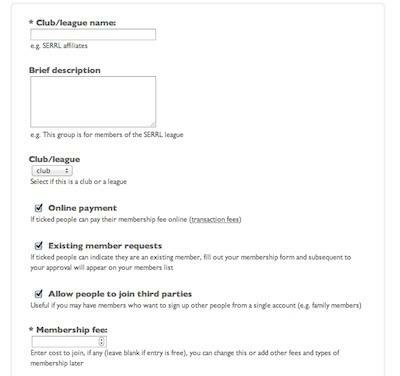 You can update the form any time, and add different membership types with different forms (for example if you have a 'junior' membership type you might want to request parent/guardian details via the junior membership form). 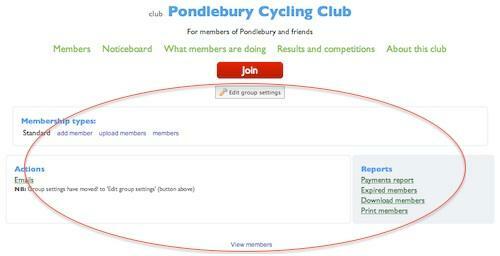 When they click the 'join' button they can fill in your membership form, pay the joining fee and become a member. But hopefully this is enough to get started! Contact us if you need any help, or have questions.